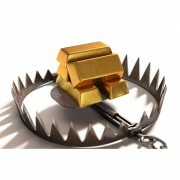 After a solid 5 day rally, gold sold off on Thursday, and the precious metals miners were sold-off indescriminetly. 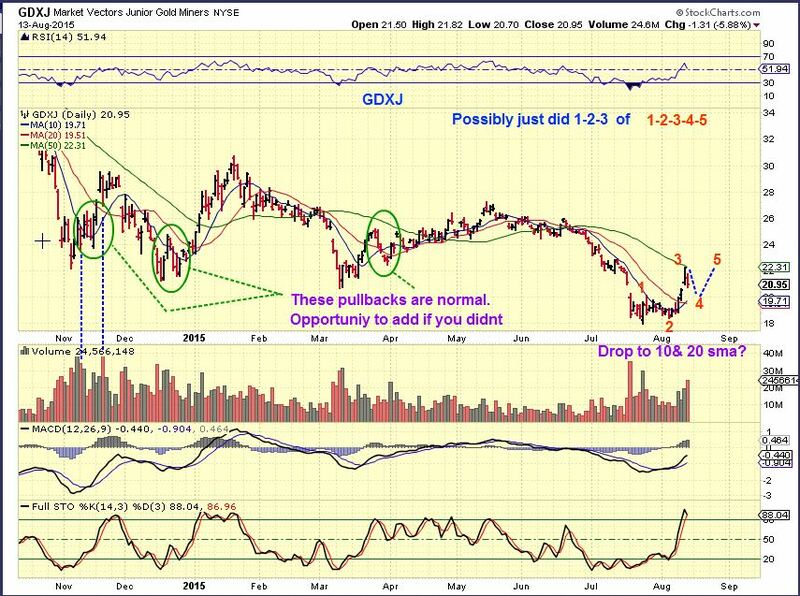 Both GDX and GDXJ were down almost 6%, leading many to be shaken out of position on the pullback. 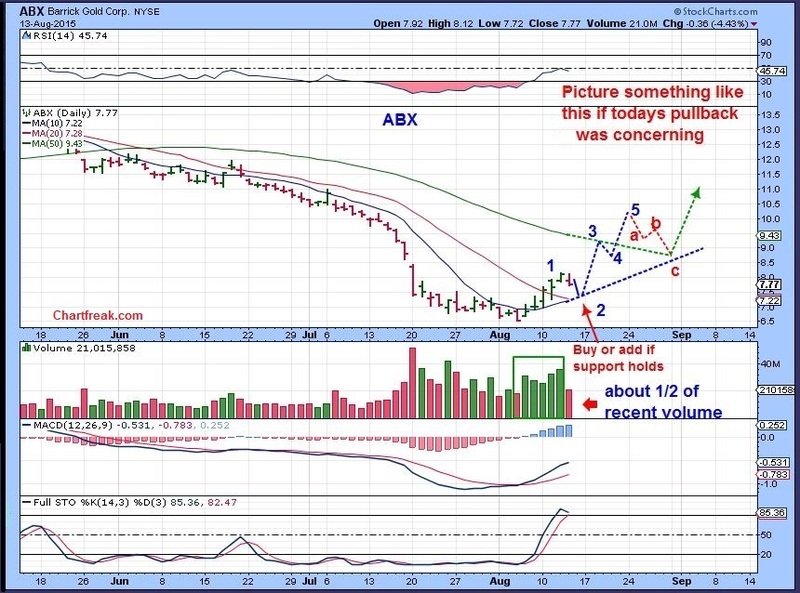 For me, these events are expected and become opportunities, so lets examine the charts to see why. 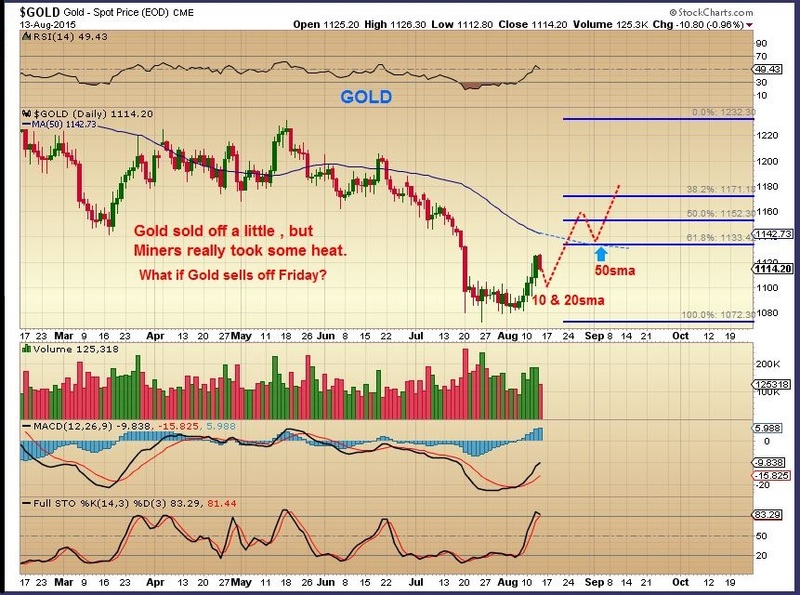 $GOLD – a pullback to the 10 & 20 sma as support is normal. 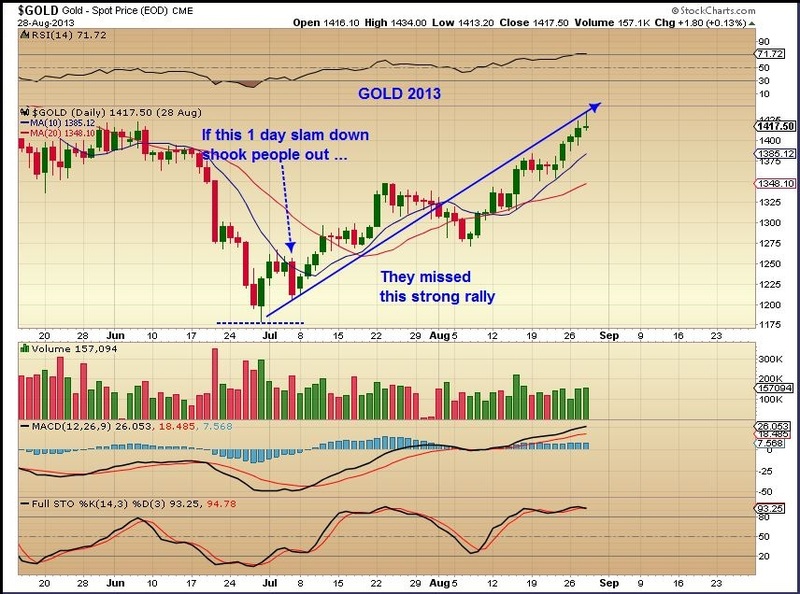 In 2013 at the lows, Gold had a one day slam down, and those who were shaken out of position missed out on a nice rally. 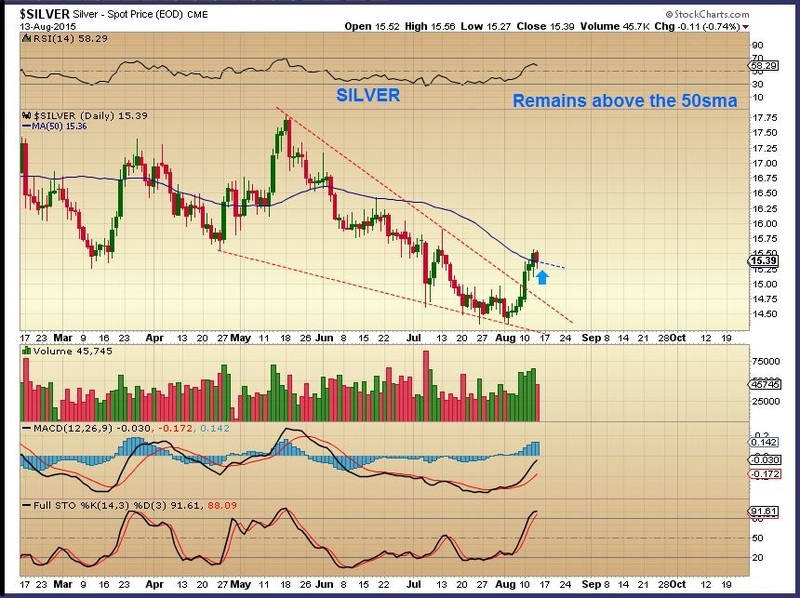 SILVER has remained strong , that’s encouraging. But what about those Miners , down almost 6%. 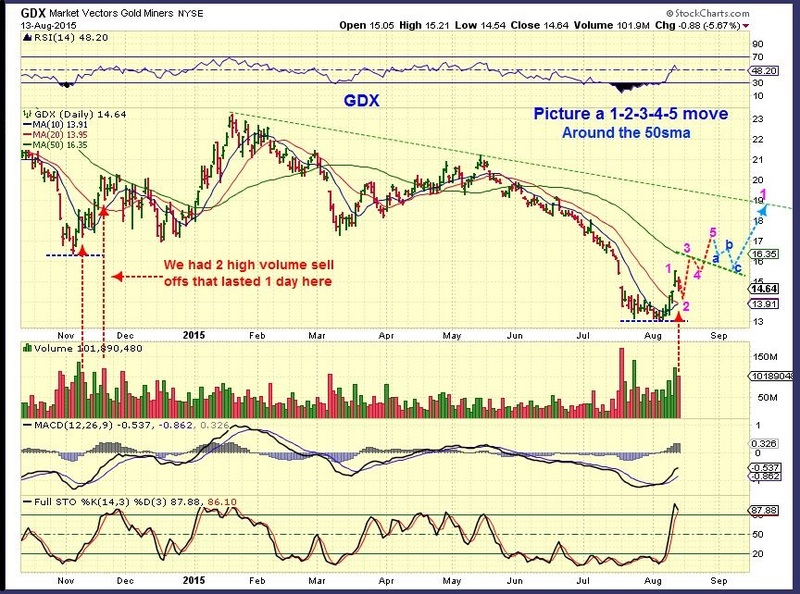 GDX – We’ve seen high volume 1 day drops before, like the lows back in November. They basically amounted to just noise once the rally was done. Even a deeper drop to the 10 & 20 Sma would still be normal. 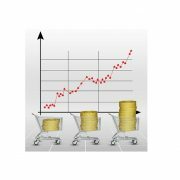 GDXJ – hit the 50sma . Pullbacks like this were buying opportunities in the past. 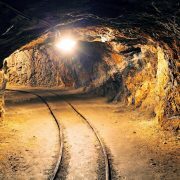 When I see that people are getting concerned about a drop in the price of GDX or GDXJ, I like to check the underlying mining stocks and see if their charts look healthy or sickly. Lets do that here. 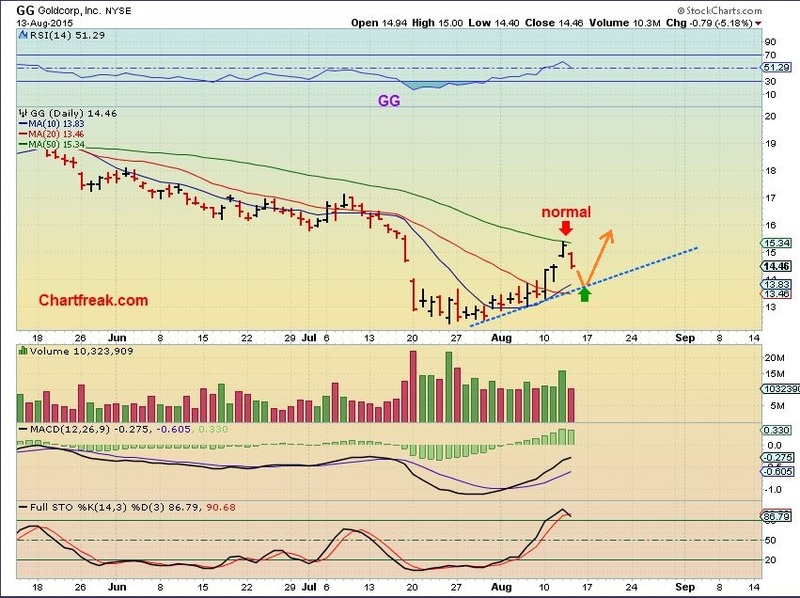 Goldcorp Inc (GG) – This is a healthy looking run up, and a normal pullback. When sentiment becomes too extreme in any one direction and everything you read is bearish, this leads to an excellent counter trend rally opportunity. I’ve seen these types of setups many times within my professional trading career and the current conditions are very favorable for a rally over the next several weeks. Dips like we saw on Thursday may be your opportunity to enter at lower price. Anyone notice the extraordinary stop hunt on WTIC today? I believe this gold/GDX move will look like 2008. 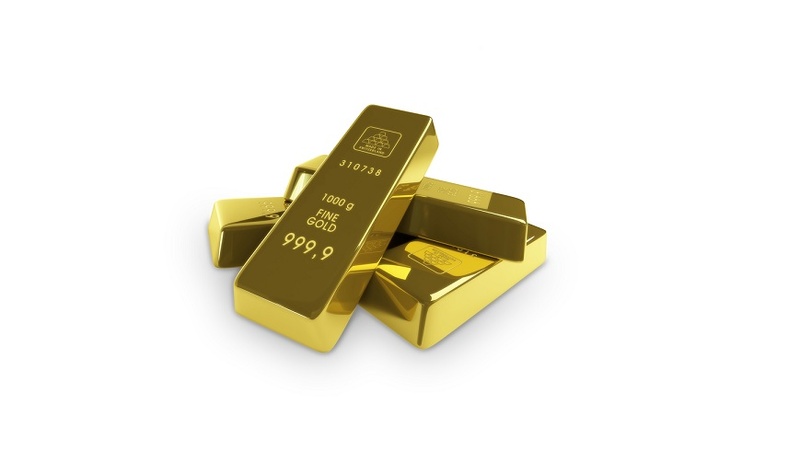 Gold goes up, GDX goes up as in September 2008 but then the real crunch happens when gold drops 5% (off the $1,080) price low a few days ago but the GDX after rallying from $29 to $38 then drops all the way to $18. A commensurate drop in GDX today would get it to $10 or below. 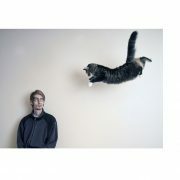 That was the bottom. I love going back & comparing important lows. I am familiar with the 2008 lows, I’ll go check that out with your post later. Thanks for the input Montana, and thx for stopping by!